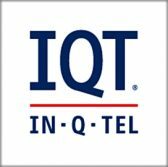 Contrast Security and In-Q-Tel have formed a strategic partnership that aims help customer agencies protect software applications from cyber threats with the use of technology. IQT said Thursday it invested in the security company as part of efforts to address the U.S. government’s cybersecurity requirements. Contrast designed its technology to detect and mitigate vulnerabilities as well as to defend systems against targeted attacks and bots. “Legacy based software assurance tools have not kept up with the demands and scalability of government agencies,” noted Brian Smith, investment partner at IQT. He added that Contrast Security’s software assurance testing services and automated approaches for cloud, agile and development operations will help protect government entities and commercial markets. The Office of Management and Budget has found in a recent study that 59 federal agencies have vulnerable cybersecurity postures due to several lapses in security.